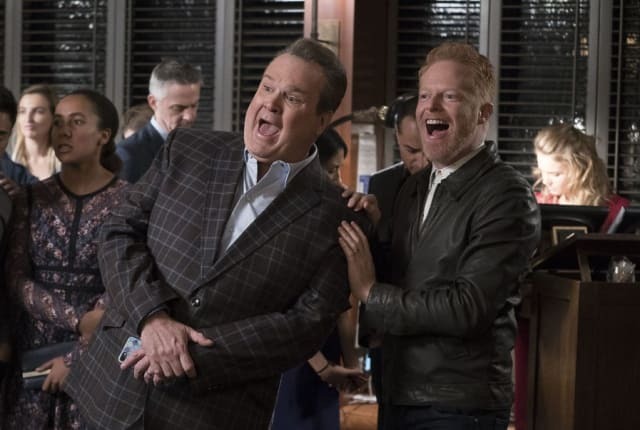 Watch Modern Family Season 9 Episode 15 online via TV Fanatic with over 7 options to watch the Modern Family S9E15 full episode. Affiliates with free and paid streaming include Amazon, iTunes, Vudu, YouTube Purchase, Google Play, Hulu Plus, and Verizon On Demand. On Modern Family Season 9 Episode 15, Mitch and Cam may have unwittingly ruined Luke’s Valentine’s Day date, while Phil tries to help Jay spice things up. The molten chocolate cake looks slutty and delicious. Would it kill you to say that about me? Permalink: The molten chocolate cake looks slutty and delicious. Would it kill you to say that about me? All's I know is that you're being a real Capricorn right now. The sun revolves around the Earth and not you.